The degree to which one is disturbed by noises of everyday life may be related to how the brain processes variations in the sound stream, according to new findings published in Scientific Reports. Some people experience strong discomfort of sounds around them and complain that they suffer from noise. Previous studies have shown that noise sensitive individuals are more prone to negative effects of noise on health, such as sleep disturbance and heart diseases, and that sensitivity to noise may be rooted to one’s genetic profile. 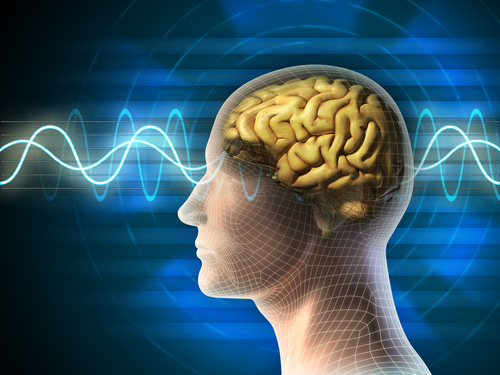 In the newly published work ‘A window into the brain mechanisms associated with noise sensitivity’, researchers from the University of Helsinki and Aarhus University addressed whether noise sensitivity is manifested in the way the brain processes sounds. They showed that the auditory system of noise sensitive individuals is less responsive to new sound features introduced among repetitive sounds, especially if the novel sound is noisier than the rest. Seeming counterintuitive at first, this finding suggests that it may be harder for sensitive people to build a prediction about changes in a varying soundscape, and their auditory system might “tune down” its responsiveness to sounds in order to protect itself from overreacting to noise. “We need further studies to conclude whether we’ve discovered something that is the reason why people are noise sensitive or is it the result of the brain’s contractions against excessive noise. Nevertheless, this study advances the view on noise sensitivity being more than just a negative attitude to sounds and brings us new information on the physiology of environmental sensitivity,” says the first author of the study, doctoral student Marina Kliuchko from the University of Helsinki. The contribution of this study crosses boundaries of the brain science and reaches to public and occupational healthcare. The researchers hope that their work will highlight that noise sensitivity is an important issue to be recognized in planning noise control in living and working environments. The work was completed at Cognitive Brain Research Unit (CBRU) of University of Helsinki in collaboration with University of Helsinki’s Department of Public Health and CICERO Learning network, BioMag Laboratory, and Center for Music in the Brain at Aarhus University, Denmark. Article: A window into the brain mechanisms associated with noise sensitivity, Marina Kliuchko, Marja Heinonen-Guzejev, Peter Vuust, Mari Tervaniemi & Elvira Brattico, Scientific Reports, doi:10.1038/srep39236, published online 15 December 2016.